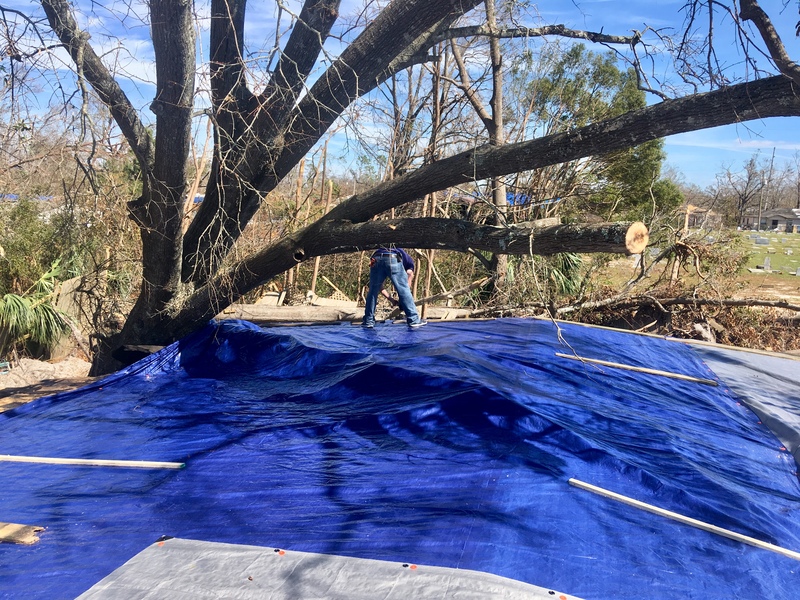 We were working today in Millville, and our teams covered a 4-block radius of homes that were hard hit. 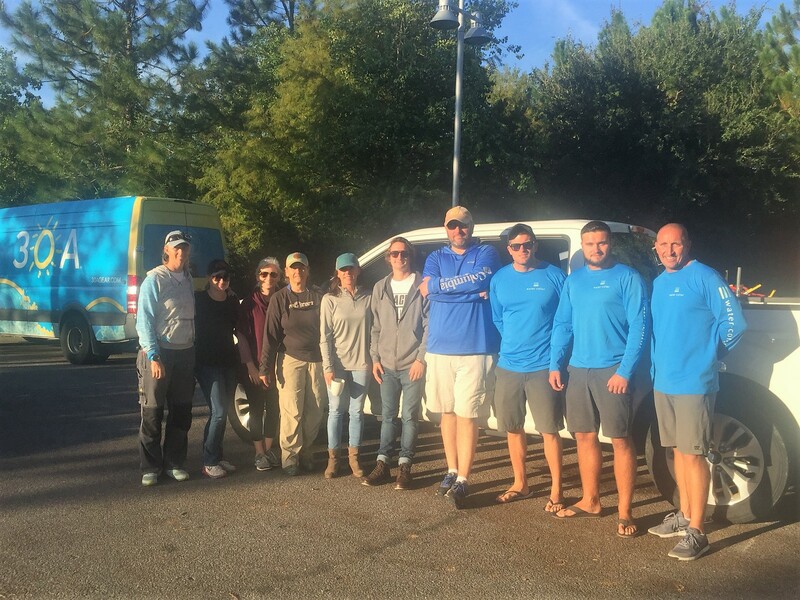 In addition to volunteers from the 30A Company, 360 Blue, Watercolor Beach Club and Cultural Arts Alliance of Walton County, on our crew today were the two frontmen of country music sensation Florida Georgia Line, Brian Kelley and Tyler Hubbard! Their celebrity status melted away before their boots hit the ground, and these guys got straight to the hard work that lay ahead for all of us. 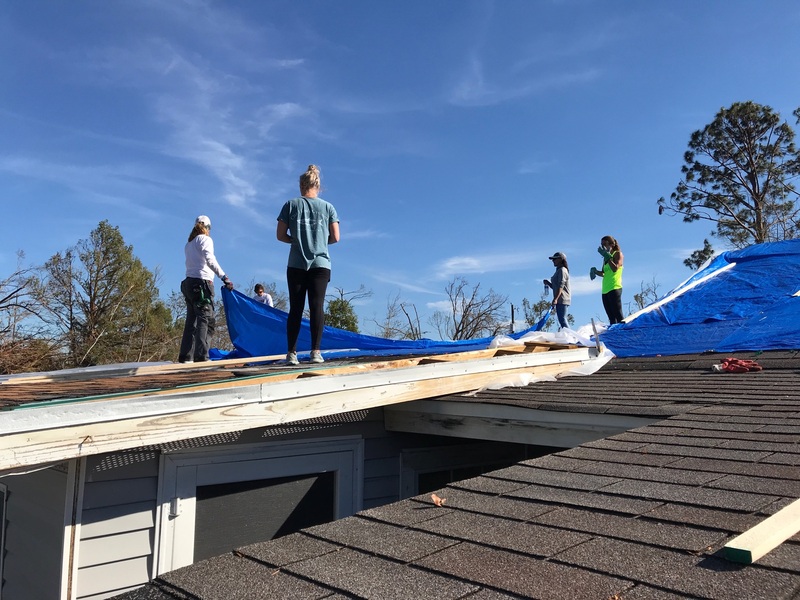 We completed tarping six roofs including one large roof with what looked to be a full tree laying on top of the house, damaging most of the roof. Rain is coming tomorrow, so repairing roofs was more important than ever. Electricity was still out where we were working, and the power company had come through and assessed damage to homes. If they deemed a house unsafe, they removed the power meter from the house. This means that until the house is repaired, power cannot be restored. Food and supplies were given out to residents who welcomed us warmly. Big hits were lemonade and soft drinks as well as homemade cookies. Cleaning supplies were greatly appreciated, especially laundry detergent. Making the day a little brighter: the kids. We gave out stuffed animals to an overwhelming show of gratitude, squeals and hugs. 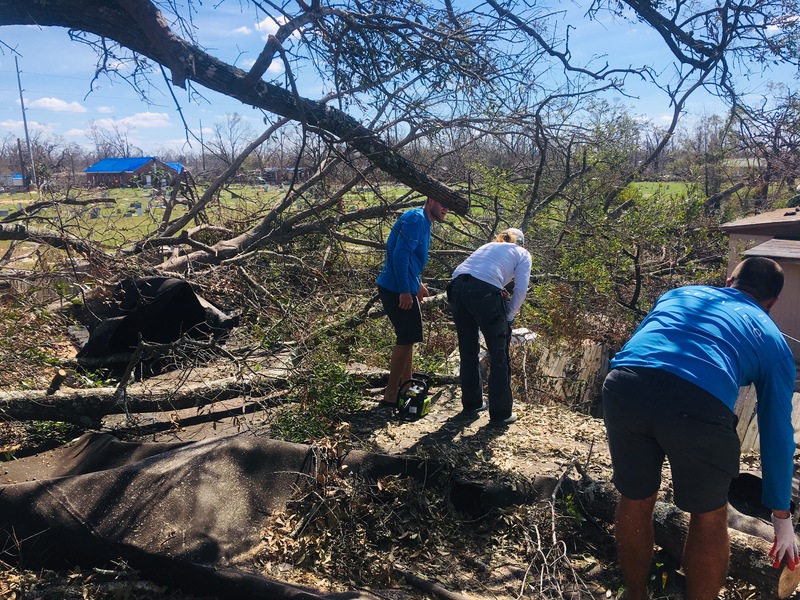 Since the storm hit, these kids have only had the necessities of life provided to them, water and food, but nothing that made them remember it’s fun to be a kid. A small thing like a toy was a welcomed surprise. However, the ultimate in smiles had to be the Kona Ice truck we had as part of our crew today. Kona Ice of Panama City Beach was gracious enough to donate their time and sweet treats to residents. Adults and children alike were stopping in their tracks, mouths wide with smiles when the truck pulled to a stop and offered them a free snow cone. Such a small gesture changed their entire outlook if only for a short while.